Enjoy the revival of a popular program for readers at the Leon County Main Library—Booked for Lunch! Every other month, on the third Thursday at 12:15 PM, enjoy a special mid-day break by bringing a bag lunch to the library and meeting or reconnecting with a local author. The library provides dessert and drinks; the author reads from and talks about books they’ve written; and you provide questions and comments. We are so happy to bring back this program. The new Booked for Lunch series is made possible by a generous donation from Ms. Walli Beall, civic leader and lifelong library supporter extraordinaire, who with the Friends of the Library worked so hard to raise support and funds for building the LeRoy Collins Leon County Main Library. The main library has been welcoming library users for 27 years and we look forward to many more years of service. Walli Beall talks about her book The Seasons of Goodwood: The Unfolding Story of a Treasured Southern Mansion as Home. Come and learn about the history of the working plantation, its buildings and the lives that people there led. Ms. Beall will be joined by Virginia Perkins who will be discussing her book Ida's Story: Life in Mid to Late 19th Century Tallahassee. Join us for a fascinating look back at local history. Rhett DeVane, writer of popular novels set in our area that deliver great plots with humor and Southern atmosphere, reads and talks about what inspires her clever books. Check one out from your favorite library to read before you meet her! January 17, 2019, Dr. B.L. Perry, Jr., Branch Library ( 2817 S. Adams Street, 606-2950), 12:15 P.M.
David Kirby, poet and Robert O. Lawton Distinguished Professor of English at Florida State University, reads poems and reflects on life with humor and pathos. Join us for The Great American Read this fall!! The LeRoy Collins Leon County Public Library in partnership with WFSU-TV, and with a grant from the Florida Humanities Council, offers activities to go along with The Great American Read series broadcast on PBS this fall. The Great American Read is an eight-part series that explores and celebrates the power of reading, told through the prism of America’s 100 best-loved novels (as chosen in a national survey). It investigates how and why writers create their fictional worlds, how we as readers are affected by these stories, and what these 100 different books have to say about our diverse nation and our shared experience. You can vote for your favorite novels from the list and help decide America's best loved book in the series' finale by going to the Great American Read website. Please plan to attend. You can also vote for your favorite books at the branches and through the Library's social media as well. Leon County will make Traveling Book Club kits for the top 10 novels. For information on the Traveling Book Club please click here. On Saturday, October 13 at 2:00 p.m., Dr. Ned Stuckey-French, Florida State University English professor, will hold a workshop on Digital Storytelling. Participants of all ages will learn to use existing, free technology and their own digital devices to create their own video versions of the novels on the Great American Read list. These videos may be shared on the library facebook page. The Library will also be sponsoring Great American Read related programming in September and October as well as a special screening of one of the episodes at the WFSU studios. This is a great way to increase attention for these 100 great novels, so please join us for all the fun! Explore the puzzle of our past at an Archaeology Story Time for Kindergarten -2nd grade students at the County Main Library. Each 3rd Saturday in the fall from 2:00 p.m.-3:30 p.m., the Florida Public Archaeological Network staff will have a storytime and offer a hands-on activity. Our past is a puzzle missing the box and most of its pieces. Archaeology helps us see the picture. Budding young elementary school scientists and their caregivers are invited to experiment at MagLab’s Science Night. Join real MagLab scientists for an evening of interactive hands-on science fun covering exciting topics such as electricity, engineering, chemistry, sound, light and more. MagLab's Science Night is held on the third Thursday of the month during the school year (except December) from 6:30 p.m. to 7:30 p.m. at the Main Library. The Teen Advisory Board is working hard to design great events for our local Teens and Tweens! The Fall program lineup includes Cringe Karaoke on September 13, 4:00 - 6 P.M. and a Fearfully Frightening Mystery Scavenger Hunt on October 29 from 6:30 p.m. - 8:00 p.m. Come and enjoy friends, fun and snacks! Bedtime Math’s Crazy 8s Club: Math and Mischief at the Main Library! Calling all kids in Grades 3 -5! Do you love math and wish you could do it all the time? Do you hate math and wish it was more fun? Either way, Bedtime Math’s Crazy 8s Club is perfect for you! Bedtime Math’s Crazy 8s Club a totally new kind of math club where you’ll build glow-in-the-dark structures, crack secret spy codes, medal in the Toilet Paper Olympics and more! Bedtime Math’s Crazy 8s Club will be held every Tuesday from 4 pm – 5 pm for 8 weeks beginning on Tuesday, October 2nd, and ending, Tuesday, November 20th, at the Main Library. All events are free and sponsored by the Bedtime Math Foundation. Baby, Story, Family Times and Lego Club continue throughout the Fall at all libraries. Check our calendar for more events! The LeRoy Collins Leon County Public Library has resources for all types of car enthusiasts, from the first time car buyer to the entrepreneur looking to start a car share business. Our collection includes a wealth of books and magazines such as Car and Driver and Muscle Car Review (both magazines are also available online through rbDigital magazines). Cars are a major investment, so why not save some money by stopping by your local library before heading to the show room or garage? Check out our Automate database, which contains service and repair information on most major manufacturers of domestic and imported vehicles, with repair information for most vintage makes starting as far back as 1974. Automate can be accessed online anywhere with a library card. We have a large selection of Chilton’s repair manuals for cars, trucks and motorcycles if you prefer information in print. Before you purchase a car, check out Consumer Reports, including their annual car buying guide. Consumer Reports is also available online via our LexisNexis database and can be accessed online anywhere with your library card. We created a helpful free pamphlet full of resources on buying, selling and repairing cars available for patrons at the reference desk. Auto aficionados can find materials on everything from racing to the history of the industry. Whether you want to price a used car or research NASCAR history, staff is here to assist you. The Woodville Community Center originally served as a Leon County Library bookmobile stop. It was the only bookmobile stop that provided access to both a computer lab and library materials. 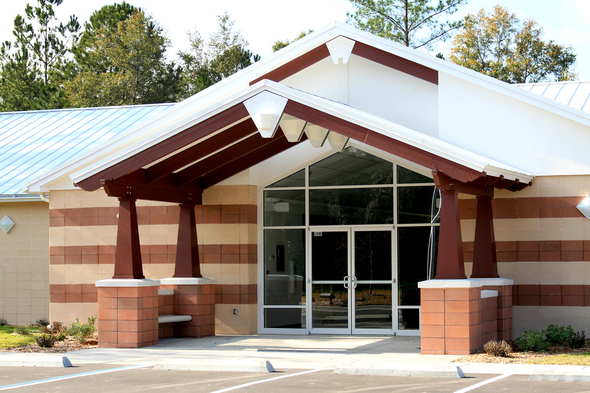 Due to its popularity, as well as the increasing need for more computer/internet access and research services for Leon County residents, 2,000 square feet were added to the Woodville Community Center for a dedicated library space. On October 1, 2011, the Woodville Branch Library officially opened its doors. Since opening, the Woodville Branch Library has increased its offerings beyond the traditional books and movies. Like all of the County’s libraries, we offer hot spots and telescopes for check out and a seed library twice a year. Our Friendshop offers fiction, diverse DVD selection and current magazines. Two meeting rooms offer free meeting spaces for the community, each seating up to 24 people. The Dogwood Room features a wall of windows with a beautiful view; and the Magnolia Room, has a smart TV to use for presentations. The Woodville Branch offers several programs. For children 3 and up we offer Storytime on Saturdays at 11a.m. Share songs, stories and rhymes with us! On the first and third Tuesdays of the month at 3:30 P.M., we offer a LEGO™ Club. This is a chance for children of all ages to show their creative side. We display the LEGO™ masterpieces until the next time the club meets. 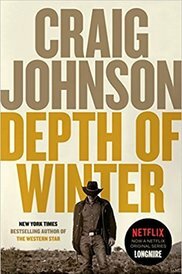 On the last Tuesday of the month our Adult Book Club meets at 6:30 p.m. We love to talk about books and invite you to join us! In September, we are offering two special programs. On Tuesday, September 11 at 6:30 p.m. the local musical group Hot Tamale will perform. This performance is open to all ages! On Saturday, September 29 at 3:30 p.m, local juggling expert Don Rapp will be teaching juggling. This program is open to everyone ages 8 and up. One of our greatest offerings to the Woodville Community is our small but mighty staff! Between us, we have 50+ years of experience serving the Leon County community. Kristina Holt, our newest addition, has a passion for teaching “Tech One on One”. If you need assistance with a mobile device or want to learn how to download ebooks and audiobooks, make an appointment today. Cathy, who has been with the Woodville Branch since the beginning, struts her stuff at our Storytimes and has an interest in Genealogy. If you are beginning your Genealogy research, come learn about the best places to start. Sarah is our circulation desk guru. 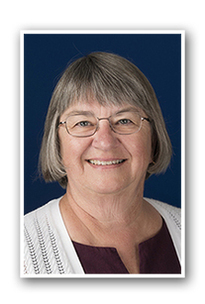 She ensures library items are routed to the appropriate places, that our Friendshop is full of interesting finds and that there is a smiling face to greet everyone. The Woodville Branch Library might be a little out of your way, but it is worth the drive! Come visit us at 8000 Old Woodville Road. In each newsletter we include a story from one of our staff about how they enriched their own and our patrons' well-being by going the extra mile. I'm fortunate to see children of all ages at the Circulation Desk. Making eye contact and saying "Hello. How are you Today?" to them individually means a great deal to me. In particular, I remember one little boy who appeared very shy. When I smiled at him I received the biggest smile you have ever seen in return. He has remembered me and when he comes to visit he always gives me another smile. I always acknowledge the parents too, but I think it's important to acknowledge the children too and let them know we're glad they're at the library!